Davis-Standard, LLC will promote the company’s equipment innovation and regional growth at Hall 9.2, Booth J41, during CHINAPLAS 2019 in Guangzhou, May 21-24, alongside its subsidiaries Maillefer and Brampton Engineering. Davis-Standard will share information about its recent acquisitions, Suzhou facility expansion, DS Activ-Check system for continuous extruder monitoring, dsX flex-pack™ technology and stretch film capabilities. Davis-Standard will also exhibit a HPE-100H, 1” 24:1 extruder. 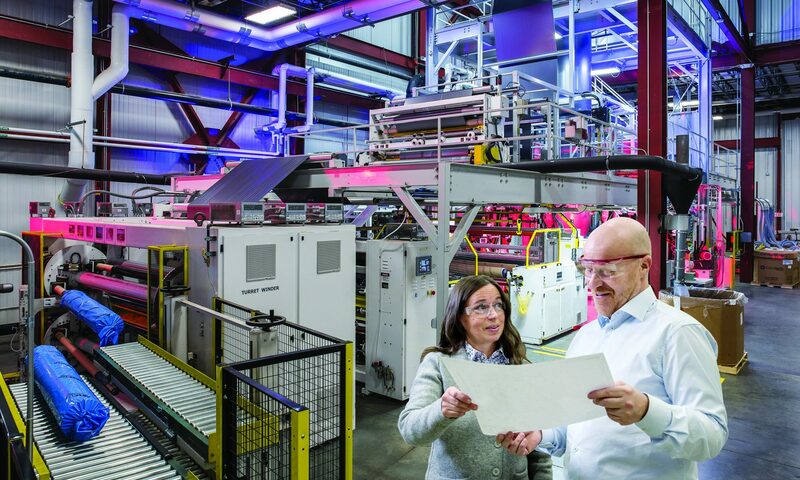 The acquisition of Brampton in 2018 augmented the company’s multi-layer film processing and winding technology for blown film applications. TSL (Thermoforming Systems LLC), also added in 2018, is the market leader in thermoforming equipment for high-volume packaging applications. TSL fits nicely with Davis-Standard’s continued growth in the packaging sector. Maillefer, acquired in 2017, expanded the company’s wire and cable, pipe and tube equipment offering, and added facilities in Finland and Switzerland to better serve customers, including those in China. Davis-Standard’s Suzhou location is expanding this year. The additional 35,000 square-foot (3,251 square-meter) facility near the existing shop in Suzhou will house control panel assembly and provide much-needed warehousing. The addition reflects Davis-Standard’s strong extrusion coating business and long-term strategy in the region. Suzhou is also home to an R&D laboratory that supports Asia’s medical market. This capability has been an asset to customers, and an excellent tool for supporting development of new resins and biodegradable products. In response to the increased demand for “smart” technology, Davis-Standard recently introduced the DS Activ-Check system for continuous extruder monitoring. DS Activ-Check enables processors to take advantage of real-time preventative maintenance by providing early notifications of potential extruder failures. Machine operators are alerted to issues before they happen, preventing unnecessary downtime while also collecting valuable data. Key parameters monitored include extruder reducer, lubrication system, motor characteristics, the drive power unit, barrel heating and cooling. The latest dsX flex-pack™ model being promoted is the 300S. 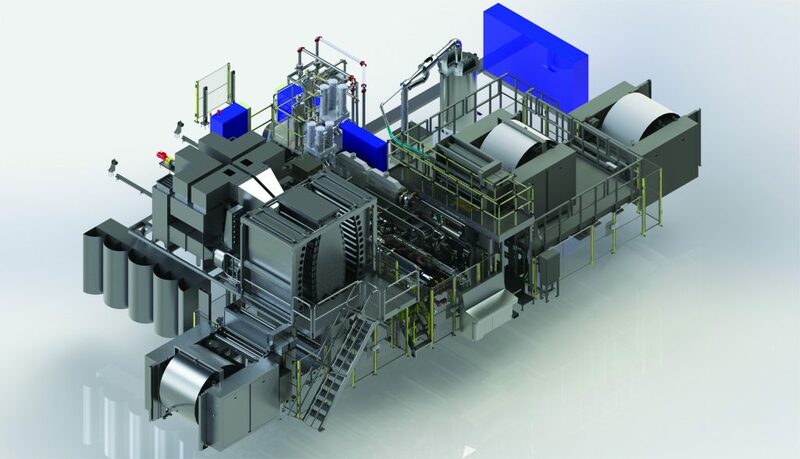 This single station extrusion and laminating line is designed specifically for the Asian flexible packaging market. It is a collaboration among Davis-Standard’s teams in the U.S., Germany and China, addressing the pricing, machine footprint, speeds and output, and shorter runs demanded by converters. Davis-Standard is also engineering a tandem configuration of this machine called the dsX flex-pack™ 300T. The dsX flex-pack™ 300S will be available for demonstration in Suzhou later this year. For stretch film applications, Davis-Standard offers a stretch film line equipped with a DS S3 winder. The line offers a compact machine arrangement, ease of servicing, excellent profile control, consistent roll quality and an intuitive control package. It is engineered for producing thin films from 31-to 51-gauge (7.8µ to 13µ) at high speeds. The side-by-side DS S3 overlapping winder is essential to this capability, enabling maximum slit widths for hand-wrap, machine-wrap and jumbo rolls. This winder also makes it possible for converters to support multiple market segments on one winder. The HPE-100H extruder being shown is an example of Davis-Standard’s performance engineering for versatility, long-term market value and an attractive return on investment. This extruder is designed for co-extrusion and multi-layer applications, and is available with a variety of DSB® feedscrew designs depending on the application. Advantages include a small footprint, high-torque capacity to handle a variety of resins and a direct coupled motor. Models are available in ¾-inch (20mm) to 1.75 (45mm) inches with L/D’s in 24:1 or 30:1. For added support, the extruder comes with a three-year warranty. For more information about Davis-Standard prior to Chinaplas, visit www.davis-standard.com. PHOTO CAPTION: Pictured is the dsX flex-pack™300S.